Philadelphia police announced on April 26, 2016, that Abdu Rivera has been charged with five counts of murder for allegedly setting a fire that killed five people inside a home in the Olney neighborhood of Philadelphia in 2003. Thirteen years ago, Abdu Rivera lost a bar fight to John Santiago, and now he is charged with the murders of Sanitago and four other people who died when Rivera allegedly set fire to their Olney rowhome, police said. Philadelphia Police Department Homicide Capt. James Clark announced Rivera had been arrested and charged in the cold-case murders at a press conference Tuesday. Investigators say Rivera allegedly set fire to Santiago's home on the 100 block of Widener Street on Nov. 18, 2003. The blaze killed Santiago; his girlfriend Clarissa DaVila, 17; Santiago's 3-month-old daughter Jacquelyn; his brother Alex, 17; and his 41-year-old mother Francesca DeJesus. Rivera surfaced as a suspect early on in the investigation, but Clark said "the witnesses were not coming forward." So after a couple years, the case sat idle. Detectives retired. Family of the victims moved out of state. Then two years ago, two dectectives decided to revisit the case and were able to get witnesses to speak. The fire followed a bar fight between Santiago and Rivera. Santiago was a trained boxer, and Clark said not only did Santiago beat up Rivera, he fended off one or two of Rivera's friends. Rivera's "pride" did not handle the loss well, Clark said. He allegedly started the fire by throwing Molotov cocktails into the front of Santiago's rowhome, police said. With the door in the rear of the house bolted shut and flames blocking the front door, Santiago, his family and DaVila were trapped inside, Clark said. 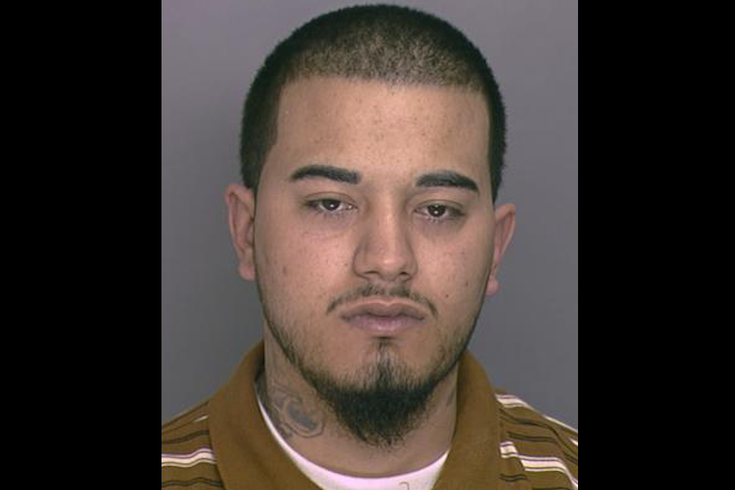 Rivera was arrested at Philip and Ontario streets in North Philly on Monday. The investigation continues, and Clark said could result in one or two additional arrests.